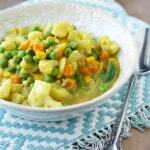 Home » Dairy Free » Potato and Vegetable Coconut Curry. Potato and Vegetable Coconut Curry. Potato and vegetable coconut curry is hearty, filling, and vegan! A warming dinner for a chilly night. How are you handling these cold days? How are you handling these busy days? I know that until recently, my crutch on a cold and busy holiday night was to order Indian food. 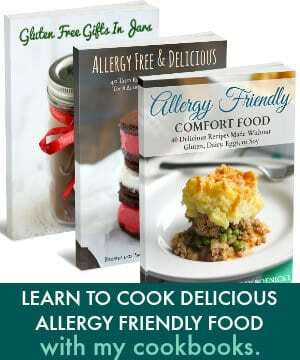 But, we have been advised not to do that anymore because of my son’s cashew allergy. 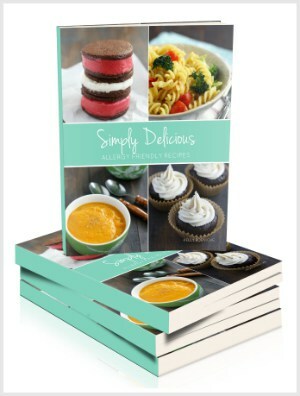 So, I decided that I had to have a recipe on hand for the nights when an Indian craving hit! 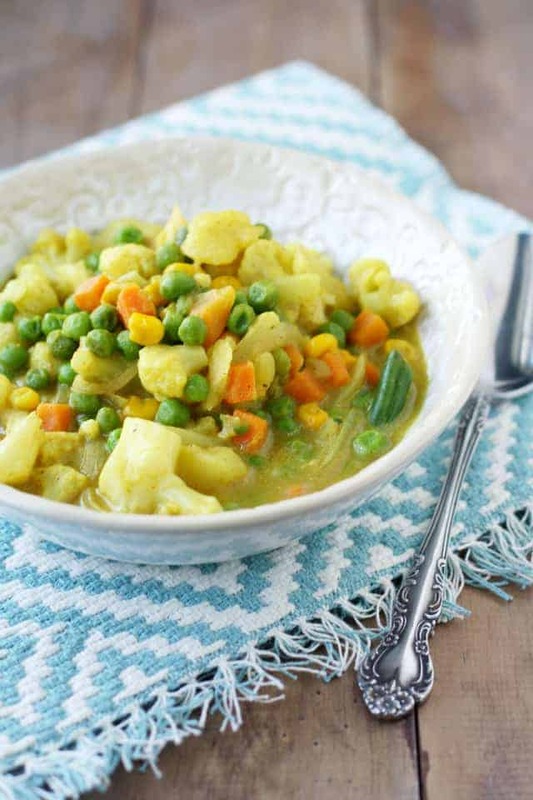 This is a super simple recipe for potato and vegetable coconut curry, but it is very flavorful and has tons of vegetables, so it’s healthy, too! 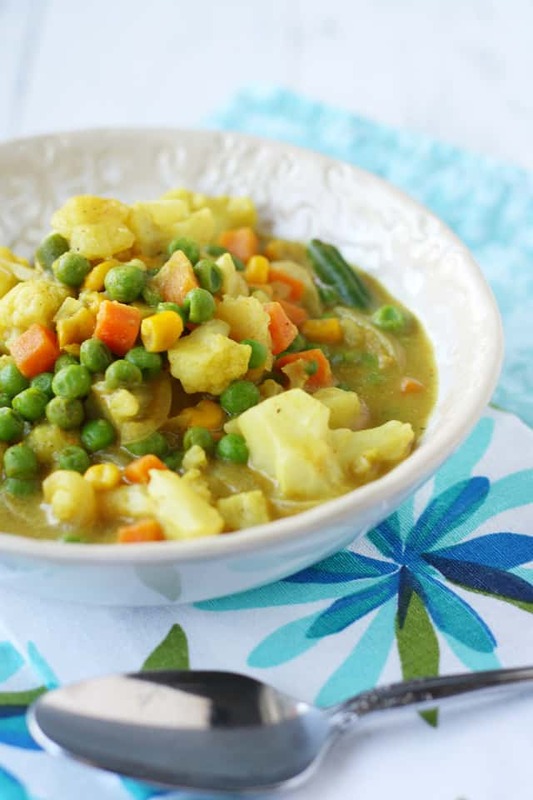 A warming vegan potato and vegetable coconut curry recipe for a quick and healthy dinner! In a large pan, cook the onion in the olive oil over medium heat until soft, about 7 minutes. Add the potatoes and cook for a few minutes. Add the can of coconut milk and all the spices and reduce heat to medium low. Cook until potatoes are tender, about 20 minutes. Add the frozen vegetables, cauliflower, and the non-dairy milk. Stir and let simmer for about 10 minutes. Serve right away over Basmati rice. This vegetable coconut curry is so good, and such an easy (and less expensive) way to get your Indian food fix! 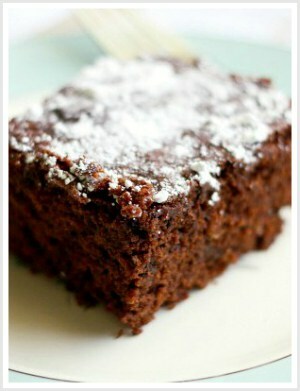 I pretty much always keep the ingredients for this on hand because it’s so good! You can adjust the spiciness to your taste, and if you prefer different vegetables, go ahead and add them! Sometimes I’ll throw a cup of chickpeas in to add a little more protein. What’s your quick and easy dinner that you turn to on busy nights? « Ambrosia Apple Crumble Tart. Is there a distinct coconut flavor with this? Or what could I substitute instead of the 2 coconut ingredients? It looks so delicious! I don’t think there is a distinct coconut flavor. But you could use rice or almond milk instead of the unsweetened coconut milk if you want. 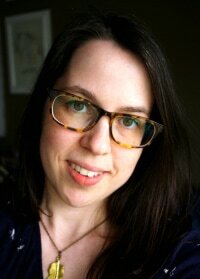 The full fat coconut milk gives richness though, so I don’t know that I would switch that out! Yum, I always love curry on a cold night! My go to quick and easy dinner would probably have to be quesadillas! You and I are on the same page today! This chilly weather has me craving spicy, creamy indian food! These looks so good- can’t wait to try it! Thank you! I am on a big curry kick right now! Coconut curry is one of my favorite dishes! <3 This looks amazing! I love coconut curry! So good! I need to make this RIGHT NOW!